The flight - which took place just after 15h40 in front of waiting journalists and engineers - proved many contemporary critics wrong, after some had predicted that the maiden voyage would “be a fiasco”. 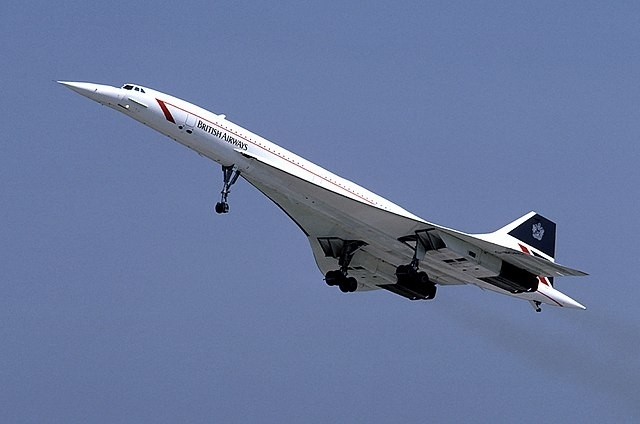 The Concorde project was first launched in 1962, although it would be several years before the aircraft would go supersonic to break the sound barrier, and make it possible for 128 passengers to travel from Paris to New York in just three hours. The project was a joint British-French, Sud-Aviation (later Aérospatiale) and BAC endeavour, and was racing to beat similar tests by America and Russia, who were said to be developing their own supersonic aircraft alongside. Pierre Grange, Concorde pilot from 1984 to 1989, and a test pilot when the plane was relaunched (temporarily) in 2001, remembers the day of the maiden flight. The flight had previously been delayed due to mist, fog, and low cloud cover, but the decision was taken to go ahead in the afternoon, as the clouds finally cleared. The rush to achieve a successful maiden voyage had ruffled some feathers, however. Then-director of the Sud-Aviation factory in Toulouse, Bernard Dufour, remembers that the lead test pilot, André Turcat, used to get angry with anyone who tried to push the date forward. “Concorde will fly when I say it is ready,” he was known to say. Originally from Marseille, Mr Turcat was seen as a legend in French aviation, and had racked up over 3,000 test pilot hours. He had been a lead test pilot since the beginning of the project, and would become the first to achieve the Mach 2 speed (Concorde’s top speed of 2,180 kph; twice the speed of sound). Alongside him was test co-pilot was Jacques Guignard; the mechanic was Michel Rétif, and chief navigator was Henri Perrier. Each had tested Concorde 52 times in a flight simulator, before attempting the real thing. Also present on the day of the maiden flight were Henri Ziegler, head of Sud-Aviation, and George Edwards, of the British Aircraft Corporation. Even once it had been decided, the flight itself was slightly delayed even further due to several technical difficulties before take-off. An alarm went off to signal a problem with the turbine cooling systems, and a technician climbed aboard. Once all was declared ready to go, the real test began. 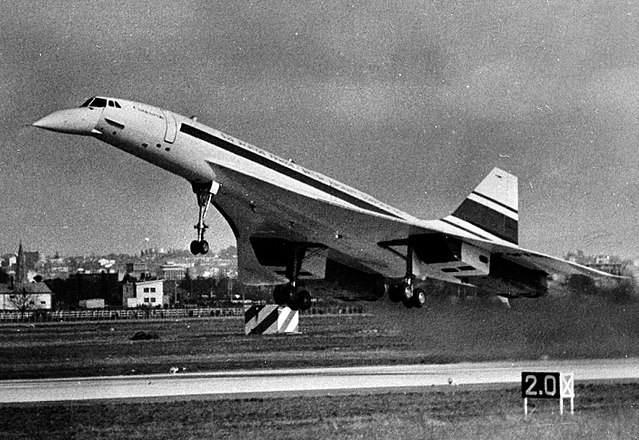 At 15h40 and 11 seconds, Concorde began takeoff, reaching 300 kph in just 23 seconds. The plane, with its famous dipped beak, slowly took off, with television cameras of the day managing to follow it until it reached an altitude of around 6,000 feet (1,800 metres). Ever cautious, Mr Turcat kept the plane’s nose dipped, and kept the landing gear out, to avoid any further risk of technical difficulties, and the aircraft remained at the “slow” speed of 250 knots (around 460 kph). There were reportedly several more errors in the cockpit as the plane continued to fly, including a false alarm for a “dropped parachute” and air cooling problems. Mr Turcat decided to cut the flight short, and began the descent. This was another unknown - how the plane would handle the landing - but all went well. After 42 minutes, the maiden flight was complete. The flight was deemed a success, but also seen as a marker of the renaissance of French aeronautics, which had been at a low ebb after the Second World War. The success of Concorde would go on to be attributed as the forerunner of the later triumph of French aircraft giant, Airbus - the successor company of Aérospatiale and BAC. As Mr Dufour said: “If Concorde had not managed to fly, the Airbus adventure would have been compromised. Without this success, we would never have convinced our partners to develop the [Airbus commercial jet] A300. Concorde entered commercial service in 1976 - under both Air France and British Airways livery - and would continue flying regularly for 27 years. It would always retain an air of exclusivity, not only due to its super-high speed, but also its price; in 1997, a return ticket from London to New York City cost USD 7,995 (€7,000; the equivalent of USD 12,500 (€11,000) in 2018). The aircraft would be retired in 2003, in part due to the fatal crash of the Air France flight 4590 in the year 2000 (the only fatal crash in the plane’s history) and the downturn in the aviation industry after the terrorist attacks of September 11, 2001.